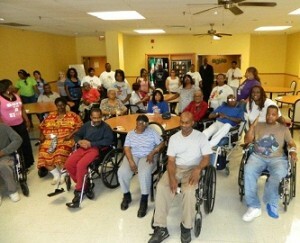 Members of the International Free & Accepted Modern Masons, Inc. & Order of the Eastern Star William V. Banks Grand Lodge and Lillian Gill Grand Chapter gave back to Austin seniors at the Jackson Square Skilled Nursing & Living Center June 23. 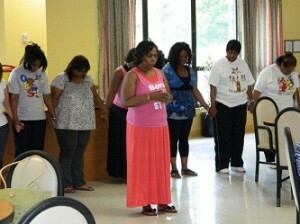 The committee passed out fruit and held a devotion service for residents at the nursing home, 5130 W. Jackson Blvd. Rickie P. Brown Sr., president of the West Side Historical Society, says the National Guard is not the answer to stopping violence; it's up to residents and leaders to make changes to restore order and improve the quality of life for citizens.